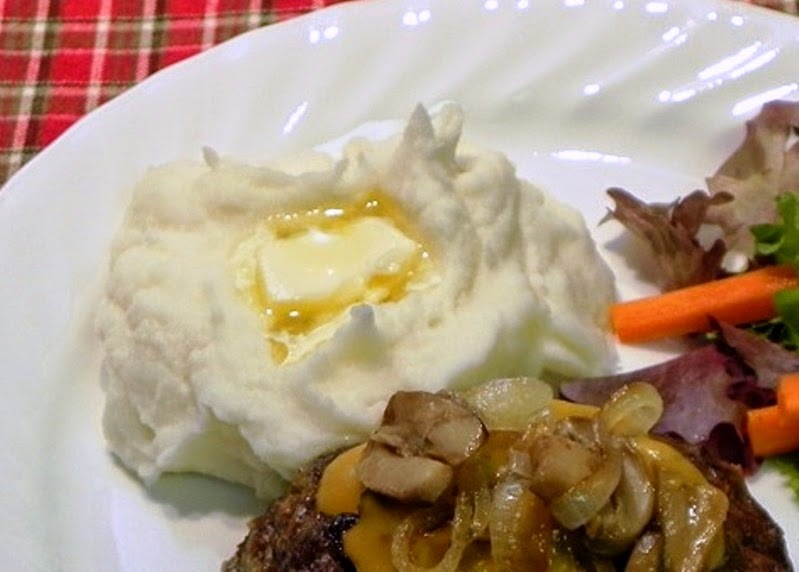 When you’re thinking about holiday menus, most folks include potatoes of some kind. You can make sure your schedule isn't too hectic by using some do-ahead recipes. My favorite recipe is this one; and not just for entertaining. I make this up and freeze 2 portions that I can microwave in minutes for a meal anytime. That way I'm sure that bargain bag of potatoes doesn’t rot before I can use it up. 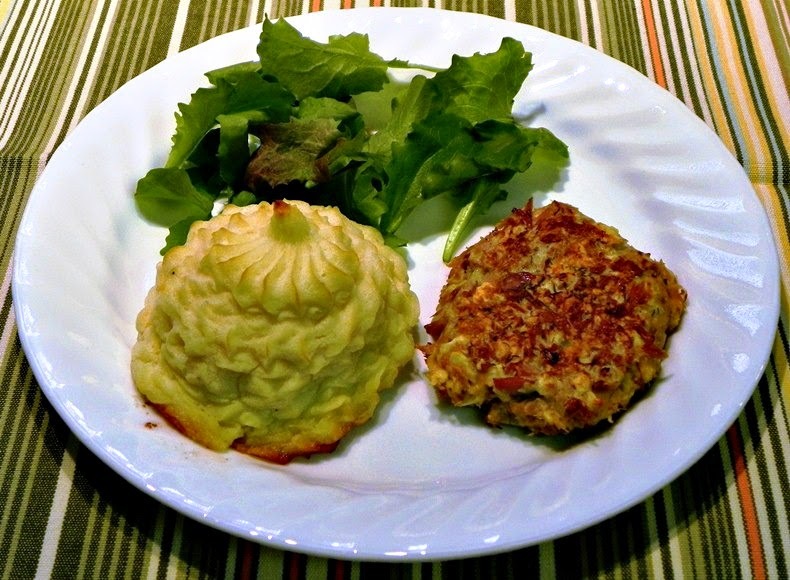 The cream cheese is necessary to keep a nice mashed potato texture for frozen potatoes. If you look at this recipe before it is fully reheated; it will look too runny to possibly work; but it sets up when it's hot enough! Start heating water in stock pot (about 1/2 full) and put out cream cheese and egg to come to room temperature. Peel and quarter and chop potatoes, cook until tender, about 20 minutes, drain well. In large mixer bowl, combine cream cheese, egg, garlic powder and salt and stir in potatoes. Mash well. Spoon into quart freezer bags (9 1/2 oz. for 2 servings). Freeze. Time to make and package: about 1 hour. Empty into cooking dish and thaw completely. 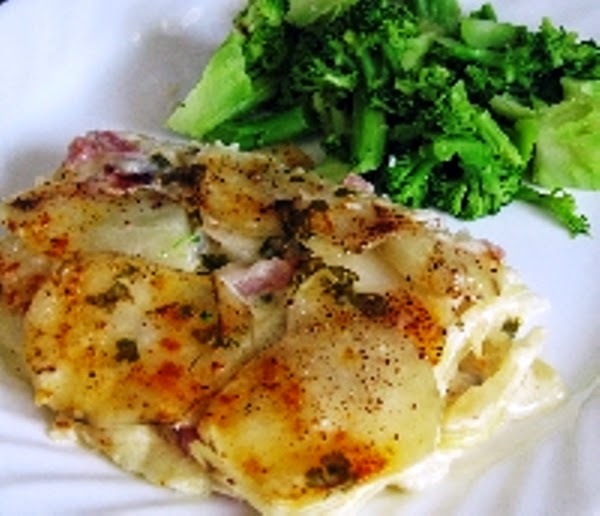 Sprinkle with paprika or shredded cheese if desired and bake at 375 degrees 30 minutes until top is golden and potatoes are set up or for 3-5 minutes in the microwave, stir once, until set up and hot. Entire 5# potato recipe amount (16 servings) can be baked in a 9X13 pan or microwaved a little longer (until set up). You can thaw them overnight, and then bring them to room temperature, about 30 minutes. For slow cooker: Transfer to a greased 3- or 4-quart slow cooker. Cover and cook on low for 3 to 3-1/2 hours. Yield: "1 3/4 quarts or 16 side servings"